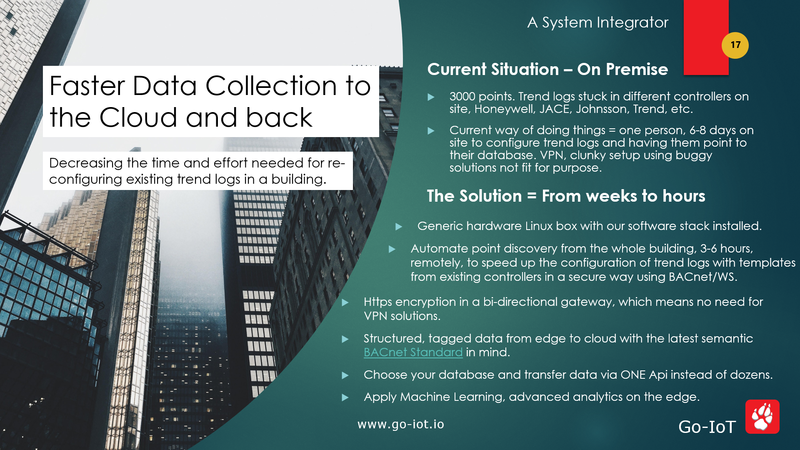 Taking Buildings to the Cloud Faster than ever Before – Go-IoT – The one stop solution for your IoT needs! 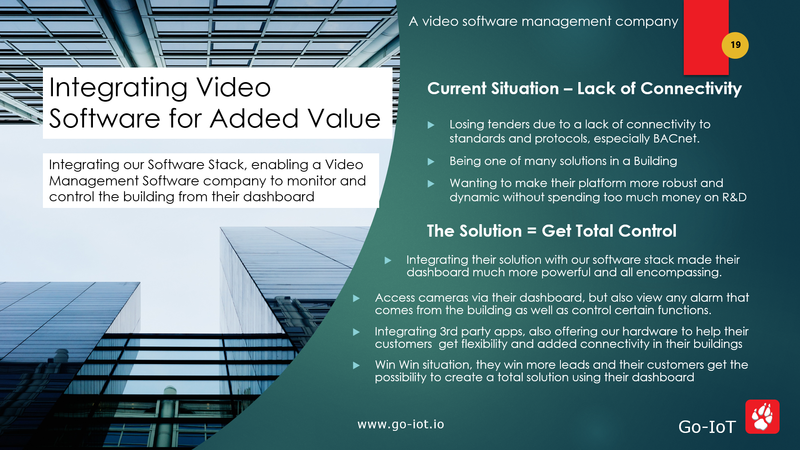 We have had the privilege of working with fantastic companies and use cases. Below are some of the challenges that have been solved with our solutions. A total solution has never been easier. Mix and match from different vendors and create the solution that your customer wants. 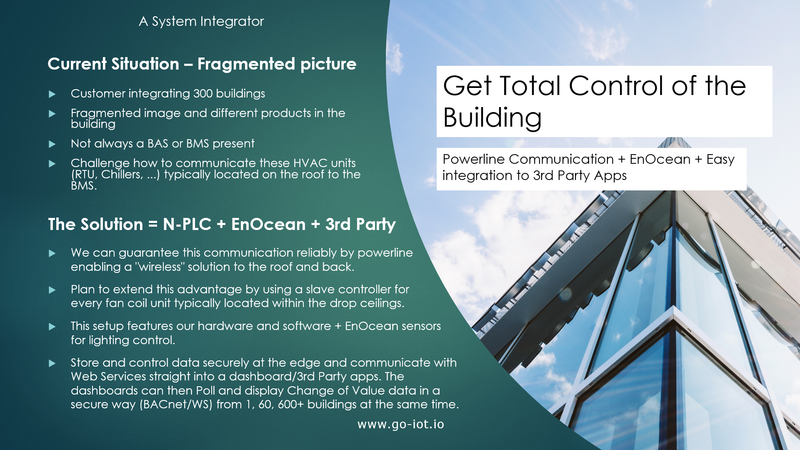 By using our software stack, any solution that wants to communicate and control more of the building can get that ability today.